Viki was born in Stuttgart, Germany and later moved to the United States, where she grew up outside of Chicago. Her love for weather came from spending summers on Lake Michigan. She headed to the Southeast to study marine science and physical oceanography at the University of South Carolina. While at USC, she volunteered as a University Ambassador and tour guide. From there, she headed to the University of Miami where she completed her Master’s in Atmospheric Science. 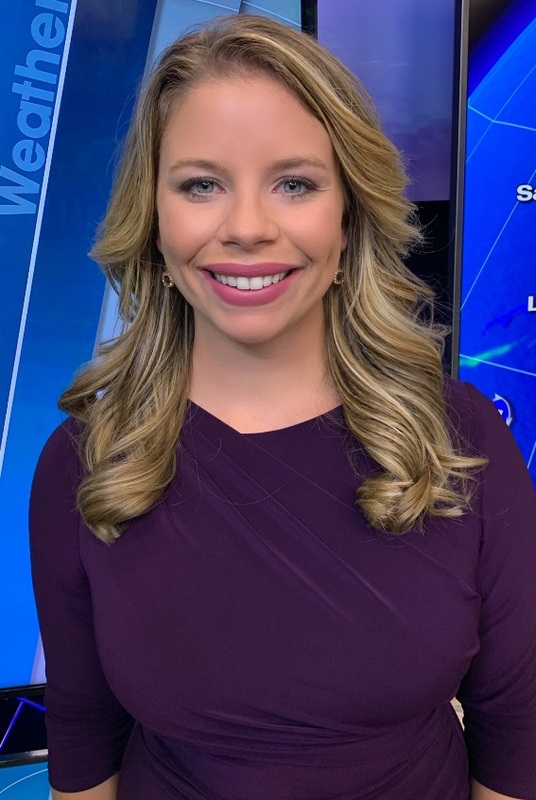 Before moving to Colorado, Viki worked as a meteorologist in Rockford, IL at WREX-TV. Weather has always played an important role in my life. Growing up sailing on Lake Michigan, it was important to know the winds, lake conditions, and potential for severe weather. In the winter, I always kept an eye on the snowfall forecasts for the Rockies and crossed my fingers for a good ski season. It was a natural transition to turn my hobby into a career. Broadcast meteorology has allowed me to combine my passions for science, public speaking, and education! I enjoy spending time outside. skiing, sailing, SCUBA diving, and beach volleyball are just a couple of my favorites! I am also always on the hunt for a good coffee spot. My grandfather was always my biggest cheerleader. He encouraged me to pursue my love of math and science just as he had. I loved all my “lessons” from my grandpa, whether it was teaching me the basics of algebra or explaining the chemical components of a candle flame. I like to think his knack for explaining science rubbed off on me. Guten Tag! I have dual-citizenship with Germany. Maybe one day I can give the forecast in German!